In recent times, student population attending local farmers’ markets has been on a downfall. Instead of using promotional techniques to bring more students to farmers’ markets, MFB decided to bring the farmers’ markets to the students. Debuting in April 2018 with only 4 vendors, we have now expanded this initiative by hosting three to four Marketplace events every semester, each with over 10 small businesses from around the Bay Area. 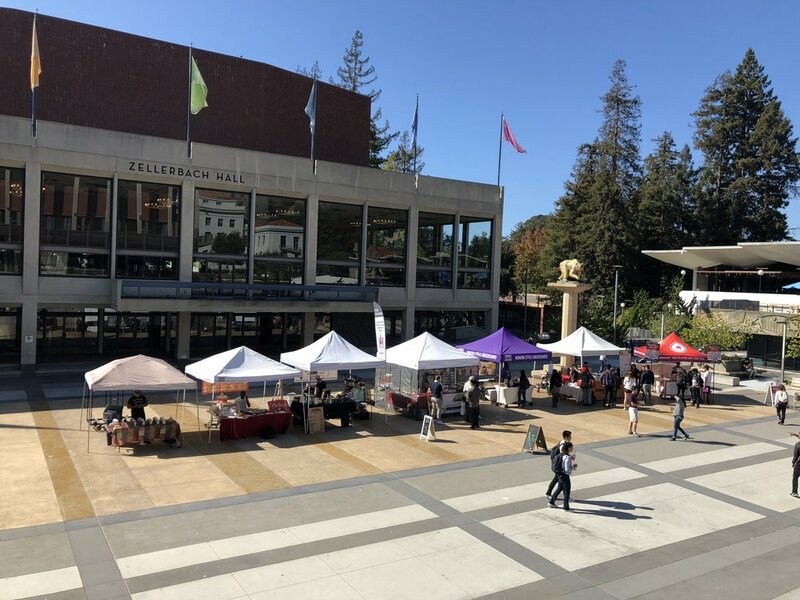 Our upcoming market will be held on Lower Sproul Plaza on Thursday, February 13th 2019 and will feature businesses selling finger-licking paella, kombucha, gelato and more. Stop by for some delicious food and great conversation with local entrepreneurs.